Truly unlocking the potential of current and future leaders by developing Head (i.e. existing or new knowledge, and hard skills to do the job), Heart (i.e. how we feel and the soft skills required to manage others) and Guts (i.e. behavioural responses & what we instinctively do). Typical areas of focus include building personal impact skills, developing emotional intelligence, building effective business relationships, increasing confidence & personal resilience. A structured career coaching programme to help clients move from uncertainty about their present career to creating a clear vision of the right career for them, along with a plan to go about creating it. Working with groups and teams within organisations to help them achieve the end results that they are looking for. Using reliable tools such as MBTI and OPQ to profile individuals and teams in order to identify their strengths and areas for development. 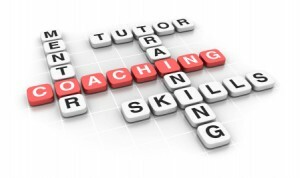 Whether you are a new or an experienced coach you should be undertaking supervision. The ICF recommends 1 hour of supervision for every 20 hours of coaching. You may find it helpful to increase this ratio if you are a new coach. ‘Supervision sessions are a place for the coach to reflect on the work they are undertaking, with another more experienced coach. It has the dual purpose of supporting the continued learning and development of the coach, as well as giving a degree of protection to the person being coached’ (Bluckert 2004). – The coach is unsure as to when to refer a coaching client forcounselling/psychotherapy. This may include how and where to refer people – for example in a bereavement or divorce situation. – The coach suspects or has diagnosed a ‘pathological’ condition or one which has a greater psychological complexity e.g. personality disorders, addictions. Whilst these are rare, they do crop up occasionally in executive clients. Most coaches do not have the background or experience to diagnose these conditions or the skills and knowledge of what to do if they are confronted by them. – Coaching the client and the client’s issues will inevitably trigger patterns and issues within the coach him/herself from time to time. This may affect the coach’s capacity to work effectively if they are not processed. – Supervision in counselling and therapeutic contexts will often focus on transference 1 and counter transference 2 relationship themes. It is not unusual for similar issues to arise within the coaching relationship also. – Coaching clients often bring highly complex strategic organisational issues and dilemmas which can leave the coach feeling both stuck and inadequate. – Qualitative – Helps the coach to be honest and courageous, attending to what they are or not allowing themselves to see, hear, feel or say. Supervisors have a responsibility to ensure the coach’s work is appropriate and falls within defined ethical standards. Are you being effective at what you do? – Developmental – this addresses the skills, understanding and capabilities of the coach through reflection and exploration of their work with their clients. The supervisor helps the coach to understand their client better, become more aware of their own reactions and responses, understand the dynamics of the coach–client interaction, examine how they intervened and the consequences, explore other ways of working with this and other similar client situations. Are you using the learning from your current clients/work to help with your future clients? – Resourcing – provides support to help the coach to process what they may have absorbed from their clients and their client’s system. Are you ok and feeling resourceful for your clients? Taking part in supervision signifies a personal commitment to your own continuing development and excellence in practice. You are committing your time before, during and after sessions to reflective practice, and in sessions you are committing to make the most of the reflection opportunity. If you are thinking of working towards ICF accreditation, you will be required to undertake 10 hours of mentor coaching (supervision), over a minimum of 3 months, with a qualified (ICF accredited) Mentor Coach. Mentor coaching differs slightly from supervision in that the sessions must focus only on your coaching skills (based in the 11 ICF core competences – see appendix 1) rather than on your practice building or any of the other topics referenced above. 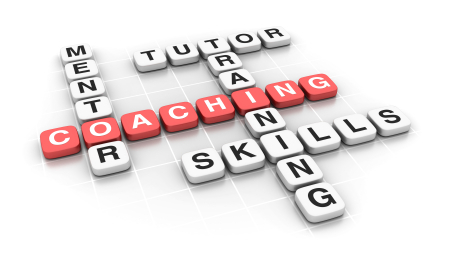 A minimum of 3 of the 10 mentor coaching hours must be one-on- one. Group sessions may count for a maximum of 7 hours toward the requirement. The group being mentor coached may not consist of more than 10 participants. I can mentor coach a group that you have already formed or invite you to join an existing group that I am supervising. Please review this link for more information about ICF mentor coaching. 1 Transference occurs when clients shift across the characteristics of someone else onto the coach/supervisor. 2 Counter-transference occurs when the coach/supervisor unconsciously responds from the role that the coachee has projected onto them.